The state of Michoacán in central-western Mexico remains in crisis. Ongoing political instability, cartel activity, rampant corruption, armed civil defense groups, militarization...It has been a chaotic scene since 2006, when then president Felipe Calderón launched Mexico’s war on drugs in his home state. Things have gotten so bad that they have even disrupted the avocado and lime markets. 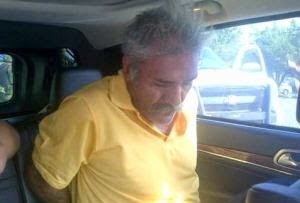 In late June, José Manuel Mireles, the former leader of the Tepalacatepec self defense group, was arrested. The charges were related to carrying military grade weapons such as AK-47s (the weapon of choice for both cartels and self defense groups), hand guns, and explosives. Mireles was arrested along with 80 other members of his group. This was a joint operation conducted by the state Attorney General’s Office and the Federal Police, the Army, and the Navy (Marines). 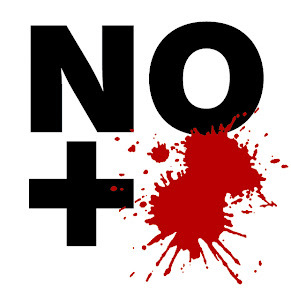 Self defense groups have cropped up throughout Mexico’s history. Most recently, in Michoacán the groups were at first respected by the government, which saw them as a legitimate response to the insecurity wrought by the cartels and corrupt police and politicians. But, not surprisingly, things got complicated. There was concern that the cartels had infiltrated the self defense groups, and that the groups themselves might challenge the authority of the state. That was the concern in this latest arrest. Mexican media reported that the authorities were spurned to action when 300 armed men from Mireles’ group mustered at La Mira just outside the port of Lázaro Cárdenas, Michoacán. Apparently, they were planning to take over the port, which would have been an exercise of unprecedented audacity, given Lázaro Cárdenas’s significance to the Mexican economy (and the drug trade). This all occurred as a deadline for a weapons amnesty passed. Mireles had signed the amnesty, but also vowed that the struggle would continue until Michoacán was free of the violence and corruption that has made it effectively ungovernable. A few days previous, on June 21, authorities marked some success in their ongoing fight with the Knights Templar cartel, arresting Huber Gómez Patiño, son of cartel leader Servando “La Tuta” Gómez Martínez, who is still wanted by authorities. Three other Knights Templar leaders have been arrested or killed in 2014, and in mid-June federal and state officials arrested eight alleged cartel members, including two of the nephews of former Knights Templar leaders. And only three days before that, the Governor of Michoacán resigned, due to health issues. Fausto Vallejo Figueroa, 65, of the Institutional Revolutionary Party (Partido Revolucionario Institucional, PRI) had been ill since 2008, and had to take a leave of absence in 2013. Vallejo Figueroa became governor of Michoacán in February 2012. There has been some speculation that the timing of his resignation may have also been due to the allegations of ties between the governor’s family and the Knights Templar cartel. Specifically, there is an alleged video and photograph of the governor’s son, Rodrigo, meeting with Servando “La Tuta” Gómez Martínez. That’s not all. Charges have also been brought against former interim Governor José Jesús Reyna García for suspected links to the Knights Templar. As well, the mayor of the municipality of Apatzingán, ground zero for much of the instability in Michoacán, has been arrested for allegedly receiving a monthly stipend of $20,000 pesos (around $1,500) from Apatzingán city councilmen to support the cartel. Perhaps most disturbing, the former mayor of the Lázaro Cárdenas municipality has also been arrested after a YouTube video surfaced showing him meeting with La Tuta.